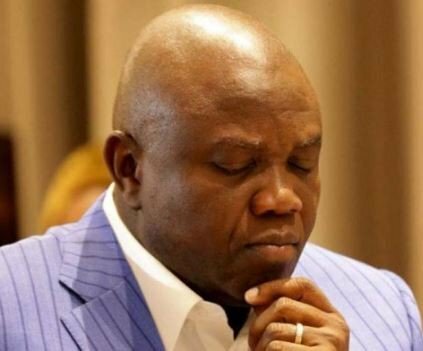 Lagos State Assembly Move To Impeach Ambode – The Lagos State House of Assembly, on Monday, said it might impeach Gov. Akinwunmi Ambode over supposed gross mismanagement. The House likewise called Ambode to show up before it within a week over his inability to officially exhibit the 2019 financial plan before the Assembly. The News Agency of Nigeria (NAN) reports that there has been difference between the 2 arms of Lagos State Government over the 2019 spending plan introduction. Ambode had sent the 2019 spending plan to the House in December & the House demanded that the governor must lay the financial plan appropriately before it before the House could start work on it. Amid the House plenary on Monday, the legislators alternated to blame the governor, claiming that the executive had started spending the 2019 spending plan without the endorsement of the Assembly. The Speaker of the House, Mr Mudashiru Obasa, in any case, asked the legislators to give the governor a reasonable hearing over the matter including the executive & the 2019 Appropriation Bill. Obasa noticed that there had been an infringement of the constitution & violation on the side of the governor over the 2019 spending plan. “We can’t start gathering signatures for impeachment. We need to exercise patience and wait till another time,” the Speaker stated. Talking, Mr Gbolahan Yishawu, Chairman House Committee on Budget and Economic Planning, said that there were some particular amounts in the spending plan that should have been endorsed by the House which cash reserves were being spend in 2018 spending plan. “We should begin an impeachment process if the executive does not retrace its steps,” Yishawu stated. Practically every one of the legislators present took turns to scrutinize Ambode for supposed blatant defiant to the constitution and monetary wrongdoing, focusing on that they were impeachable offenses. The legislators said that the next thing for the governor was to quit his position or the House would start impeachment process against him. The House postpone plenary till Feb. 4.